On the first Saturday in April 2016, we set off on the familiar walk up Colden Clough with Marisa. A fine drizzle fell on us but we remained optimistic that the weather would improve. Stopping as usual at Lumb Mill, we watched a dipper in the river. We then climbed to the garlic fields and picked young leaves. While resting on the nearby flat rock, two very lively dogs ran up. I became quite anxious at their barking and jumping at us. We spotted an old couple a few yards off walking slowly and carefully, and guessed they were the owners. I shouted at them to call the dogs off but their efforts were ineffectual. When they eventually reached us, they said the dogs were harmless. I retorted that wasn’t the point. We waited for them to get passed us before proceeding. We took time to observe the altered paths and small streams sine the Boxing Day floods, and admired pixie-land glades on the way. On approaching Hebble hole, we saw the couple with the dogs on the other side of the stream. The larger dog started barking and made to swim across to us. I became even more agitated and again shouted at the couple to call them off. They put the dogs on leads but repeated that they were harmless. I said they should be more aware of the effect their actions had on other people. As they came back over the clapper bridge we waited for them to pass once more. I said “thank you” in a pointed way, but I am not sure it sunk in. We then climbed the steep, tiny steps up to Hudson Lane and along Smithy Lane, passed the school where a figure of a child with a missing foot made me laugh. We turned left onto Fold Lane at the sign for May’s farm shop. It seemed a longer route than I had imagined and I started to become fatigued. But it proved a pleasant diversion. We passed through the actual village of Colden, with ramshackle farm buildings and rusting machinery. Despite another barking dog, I managed to keep my cool. The lane wound through the village then upwards. At a sort of T junction, we turned right up a grassy track and looked across the valley at views of Stoodley Pike and Emley Moor in the distance. At May’s farm shop, we were amazed by the extensive range on offer – anything you could ever need! We bought wonderful, inexpensive pies, cakes and hot drinks. Taking them outside, we sat on a bench looking towards Heptonstall enjoying our repast. The hot cheese pie was fantastic and went well with the good strong cup of tea. As we ate our cakes, a robin bobbed by and Marisa fed it some crumbs to allow us time to capture the cute bird on camera. Feeling refreshed, we continued walking towards Heptonstall. At Popples Common, we veered off to be away from the road. We found amusement in a nearby field where a very small kunekune pig stood in front of a huge one (‘daddy’ I thought). At Slack, we spotted a goat happily munching grass at the kerbside. We kept on Heptonstall Road straight through the village and said goodbye to Marisa. It had stayed grey and overcast most of the day but then the sun came out. Phil and I decided to have a drink in the Fox and Goose beer garden to enjoy it. Yet another dog sniffed round my rucksack but not in a threatening way. I told the owners I had been plagued by dogs all day and they sympathised, telling me he was only after food. “Yes, I know,” I replied, “but he will only find wild garlic leaves in there”. This entry was posted in landscape, photography, walking and tagged bridge, Calder Valley, clough, Colden village, dipper, England, flood, Fox and Goose Inn, goat, Hebden Bridge, Kunekune, May's Farm Shop, path, robin, rocks, seasons, spring, valley, walking, woods, Yorkshire on April 6, 2016 by Hepdene Rose. Nearby Nutclough woods is the perfect place for a pootle. Behind what was once Nutclough Mill on Keighley Road, lies a mini reminder of our industrial past. 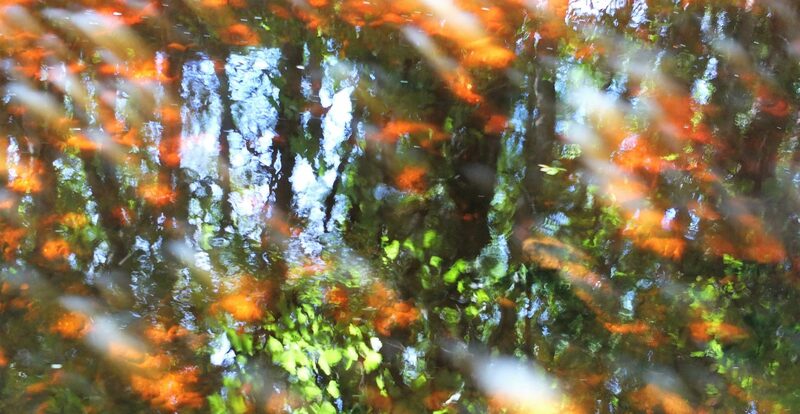 Now, the remnants of that Victorian legacy, including a variety of trees, mill race and ponds (maintained by the ‘Friends of Nutclough Woods’ i) are worth a visit at any time of year. In autumn 2012, we spent a couple of enjoyable hours wandering around the post-flood altered landscape. We discovered several bits of pottery that had been washed down from the hills. I doubt everyone would agree, but we decided it looked better as a result. A lot of silt had disappeared from the old mill ponds although that meant the ducks had scarpered, probably due to a lack of food. During the dry summer of 2013, it was easy to navigate the low waters of the beck via conveniently-placed stepping stones and explore the small islands. A variety of wild flowers and a smattering of archaeology could be found. On one visit, my friend found a very interesting hook in the river. After exploring, we often carry on up the hill to Old Town via a number of routes. 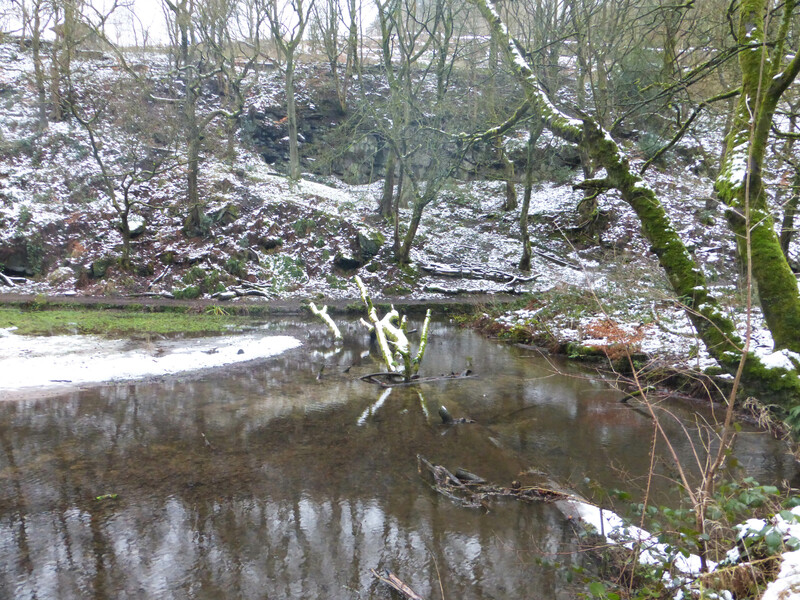 Following the course of the beck, the path may be too boggy to navigate at any time of year, but especially in winter. Last summer however, the problem was quite the reverse: it was so dusty and dry that it had become dangerous in a different way. As I found out to my cost, skidding on a pebble and landing on my arse. A drier route involves a steep climb across a field. A scattering of meadow flowers, the views across the valley and a lack of mud, make this an attractive alternative. On a recent visit to admire the snowy woodland scenes, I chickened out of crossing the fast-flowing water via the stepping stones. Instead, we crossed via a small bridge from where we climbed a steep path. This led through a private garden and out onto Sandy Gate. 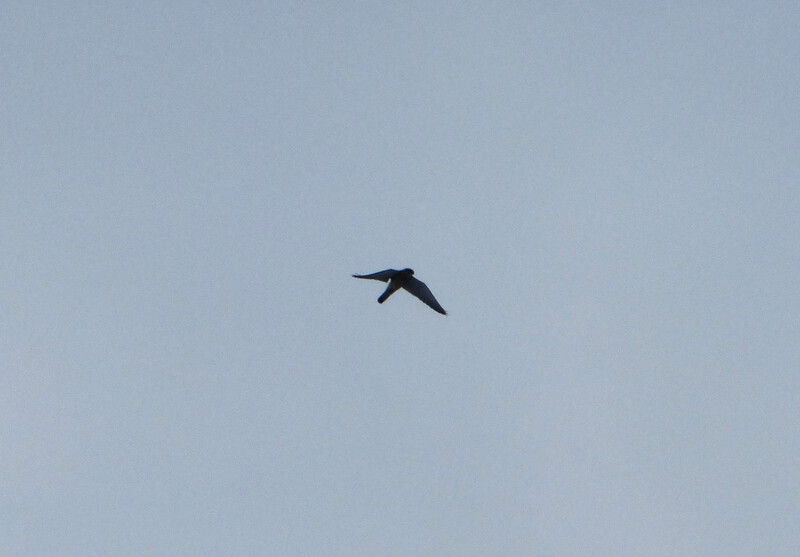 Walking along the road, we paused to watch a kestrel hovering above. I spotted a path going down on the right. I thought it might go back into Nutclough Woods but disappointingly, it skirted the Birchcliffe Centre with cheeky signs telling us which way to walk! After the Boxing Day floods of 2015, the islands had got even smaller! I refused to even try fording the streams and took the top path to the stone bridge. had planned to walk further but I felt exhausted and stressed. I sat on a wall to rest. 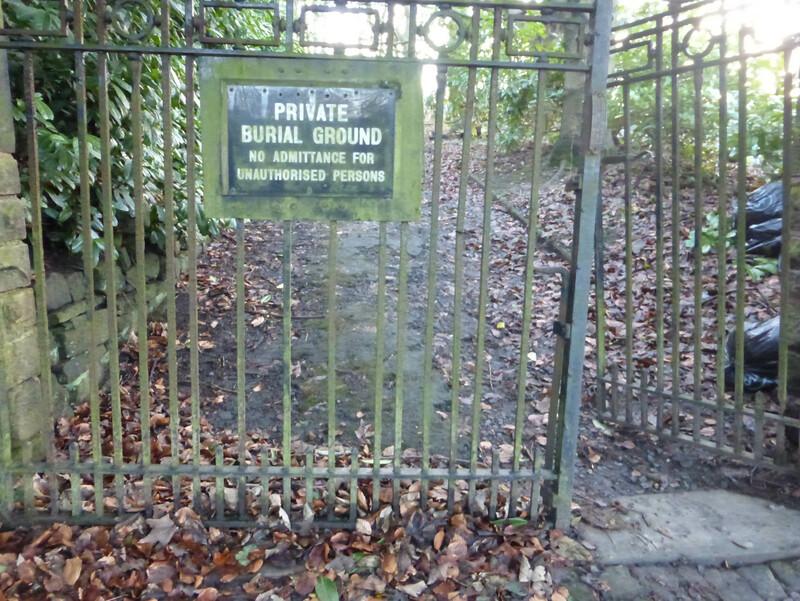 On the way back down, we noticed odd bits of Birchcliffe including a private burial ground which we explored despite the ‘no admittance’ signs. 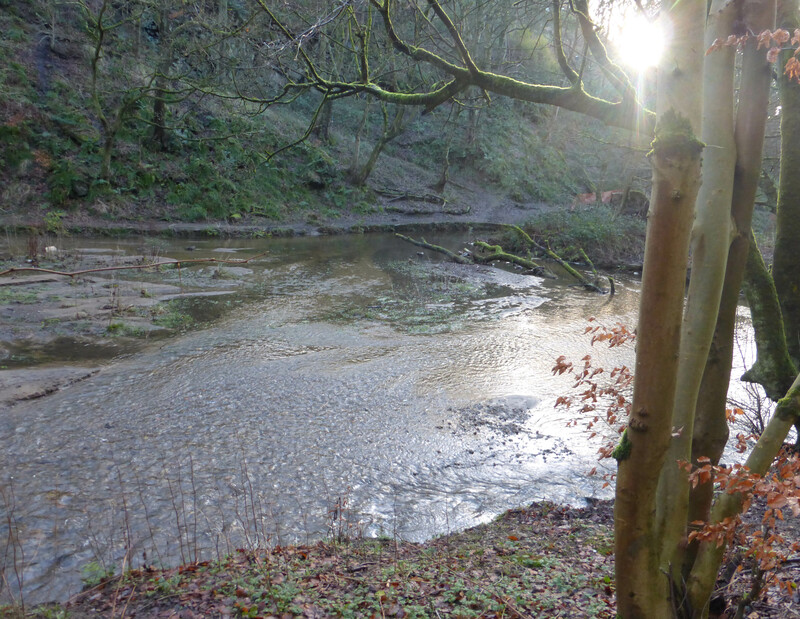 This entry was posted in archaelogy, photography, walking, woods and tagged beck, Birchcliffe, England, flood, flowers, Friends of Nutclough Woods, graveyard, Hebden Bridge, industrial heritgae, Keighley Road, kestrel, mill, Nutclough, seasons, trees, Yorkshire on January 29, 2015 by Hepdene Rose.